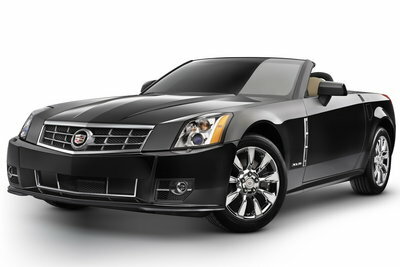 The XLR is the implementation of the Evoq concept known for setting Cadillac's radical new styling direction. The production car borrows heavily from the Corvette although the price tag of 75k is about 25k more than a Corvette. The XLR is powered by a 4.6 litre, 320hp Northstar V8 and has a power activated top. A performance XLR-V model features a 400+ hp supercharged V8. Aimed at luxury imports, there is a lot of plastic in this car and many have complained of the virtually non-existent trunk. Cadillac's roadster is updated for 2009 with new front/rear fascias and side vents. The domed hood from the XLR-V is used on all models. Inside the XLR gets a new Alcantara headliner and leather for the upper instrument panel. The interior features other minor changes to material finishes. The XLR lineup consists of only the XLR Platinum and the XLR-V for 2009.